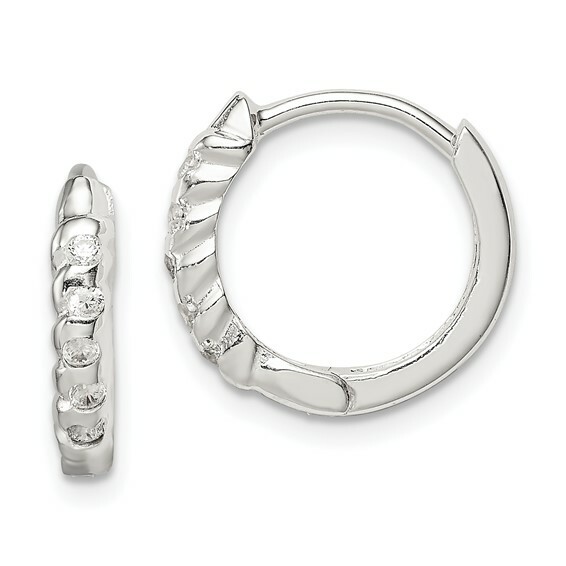 Sterling silver huggie earrings feature cubic zirconia accents. Weight: 1.37 grams. Earrings measure 1/2 inch tall.